Fighting at the front in a sub-par car // Who can challenge for victory despite the machinery forced upon them? There's nothing better than seeing a slower car come good on one Sunday afternoon to upset the odds and compete with the big boys. Who can forget Damon Hill in his Arrows at the 1997 Hungarian GP? Or Jean Alesi taking on Ayrton Senna on the streets of Phoenix in 1990. Unfortunately, the gap between the best cars and the midfield has increased in recent years, allowing precious few to challenge at the top. But then there is that equaliser: weather. Weather is the deepest adversary of a good car as it throws out the formbook and allows the lesser known names through. I have tried to compile this list without taking weather in mind, but it is hard to ignore it as a factor if those who regularly challenge in the midfield are to seriously threaten the big teams over the course of a full race distance. Right let’s get down to business. Say what you want about Grosjean’s first lap errors but the truth is that he has genuine pace. And I think that he would have the ‘X Factor’ to make up for a poor car if the cards fell right. Admittedly he had the opportunity to win a couple of times in a decent car in 2012 (and his wet weather skills seem to be lacking with early crashes in Malaysia and Brazil). His best chance came in Valencia. He was in sumptuous form, battling past Lewis Hamilton early on and, with the exit of Sebastian Vettel, he was leading and favourite to win. He let Fernando Alonso through at the restart but could have got back past, had his alternator not let go. But he had shown he could perform as the underdog. It’s emphasised when you consider he was only 2.5 seconds behind Lewis Hamilton in Canada, where the Brit is unbeatable. With a bit of luck, Grosjean has the pace to compete against the best, regardless of the machinery. 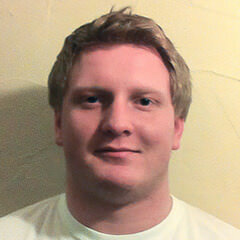 He had three podiums last year in a car that bridged the gap between front of the pack and the midfield. He will hope that his job is made a little easier in 2013, but I think that he has the capability to win his maiden Grand Prix regardless. Pérez came closer to a win in 2012, and several marquee results (including three podiums in a midfield Sauber) warranted him a move to McLaren. Don’t get me wrong, I don’t think that the McLaren will have a bad car during Pérez’s tenure there, but I think that ‘Checo’ has the capability to win in a bad car. To win in a slower car, you need something to make up for it. For Pérez, it is often his ability to manage tyres with a silky smooth style. His second podium appearance, behind Grosjean in Canada, came about as he managed to make a one stop strategy work perfectly (although Grosjean also made it work from further up on the grid). Somehow, he managed to make the softer tyres last 40 laps, while others struggled to make them last ten. What’s more, the other well known tyre whisperer, Jenson Button, trundled around to 16th, and was the only man to stop three times. But that’s not the only trick that Pérez has. In Monza, he absolutely flew, and used his overtaking skills to march up through the field. Had he started further up the pack, he would have eased past his McLaren predecessor, Lewis Hamilton, before the end of the race. And who can forget his best shot in Malaysia, where he excelled in the conditions and was a clumsy slide away from a shock victory. 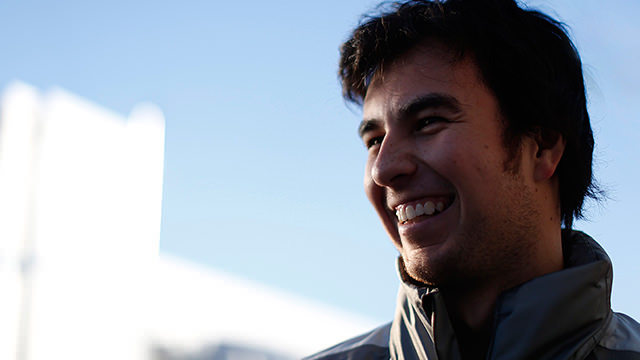 These are the skills that Checo must show week in, week out to impress at McLaren. Nico Hülkenberg has only had once chance to prove that he can win in a slower car, in the rain of Brazil in last year’s season finale. And but for an issue on downshift, I think that he would have won a Grand Prix already - and made it far easier for compatriot Sebastian Vettel to retain his world title. Nico Hülkenberg could have been the shock revelation last year, had his Force India been slightly stronger, I think he could have filled the role that Lotus performed throughout the season. Now in a Sauber, he could still do so, unless the Swiss squad run low on funds as they continue to evolve 2012’s car. Expect this man to be Lewis Hamilton’s main competition at the head of the midfield, potentially on the podium a couple of times if his luck is in. Appearing on this list gives half the world hope that ‘Lewis-watch’ may yield fruit this year. The truth is, regardless of the strength of his Mercedes, I think that Lewis Hamilton will have a shot at victory in 2013. Lewis’ appearance in this category owes everything to his style. He likes a car that oversteers and as a result, can handle a car that lacks grip. Unlike former teammate Jenson Button, he can control a car that is not set up perfectly and manhandle it round to somewhere near the front. Hamilton is aggressive and blindingly quick. He has shown his special talents before, too. In 2009, he was given a dog of a car to defend his 2008 world championship - it was so bad that Eddie Jordan suggested that McLaren should sack the entire design team. He did what he could with it and finished best of the rest in third behind the dominant Brawns in the opening round, but was disqualified for lying to the stewards. And then he did it again and again. He won in Hungary with sheer pace before another win in Singapore. He had the pace to win in Germany, too but lost out due to a first corner puncture. He took the fight to the best cars in the field over the course of half a season, and barely anyone else could. 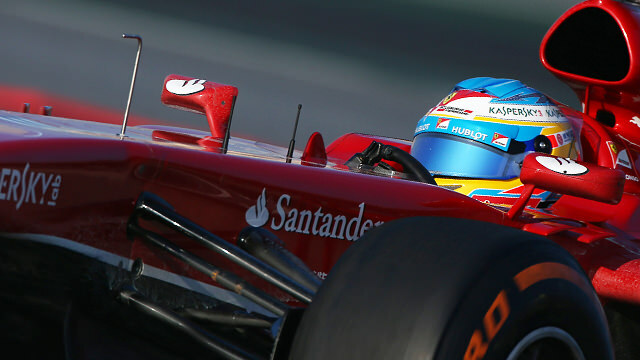 Fernando Alonso has come extremely close to winning a world title in a second rate car. Twice. He doesn’t have the blinding speed that others on this list have. He’s not renowned for conserving volatile tyres. But he has tactical nous that no one can match. And for that reason, he is my choice as the most likely man to win with a car that is off the pace. My main case for the Spaniard is Malaysia 2012. Forget the fact that it was wet; that’s irrelevant in this case. He fought to the front with the aid of the conditions, but then was in a straight fight with Sergio Pérez. He squeezed past the Mexican as he slid out of turn two on cold tyres and then became the immovable object for forty laps. Pérez, also in a midfield car, was seconds faster but was almost scared into making a move and in the end was frightened off the road, even though he was behind Alonso. Another great example is one that was taken away from us by a small mechanical fault. Think back to Singapore 2008 and you see images of Nelson Piquet Jr backing into the wall, in order for teammate Alonso to win. Once the race fixing had taken place, Alonso showed he clearly had the race pace. The forgotten back story comes from qualifying. Alonso was odds on to be on the front row of the grid until a fuel feed problem stopped him posting a time in Q2 and left him stranded in 15th on the grid. For such a calculated man, it was strange to see him let all the emotion out. He had his arms in the air, gesticulating wildly in frustration. It's such a shame that we didn't get to see what he could have done without the fuel feed issue, especially as his pace was proven in the next race in Japan, when Lewis Hamilton caused carnage at turn one and allowed Fernando Alonso and Robert Kubica to slip by. As you may have thought whilst reading this, a lot of it comes down to luck, as well as if a bad car suits the circuit it’s on. But that’s not to say that certain drivers don’t improve the chances of an upset win. More than anything, it takes a little patience and will to win. It’s no good if you have the first chance to fight at the front late in the season and bin it because you are overdriving the car. While some on this list are likely to be fighting at the front all season, it will be incredibly interesting to see how others, particularly Lewis Hamilton and Nico Hülkenberg, fare. Previous article Speed Kings: Who rules over one lap?